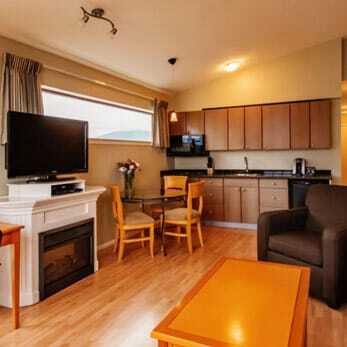 Take refuge in a spacious Junior Suite in Harrison Hot Springs! Our Junior Suites have the perfect combination of space, amenities, and views to create the perfect balance between comfort and function. With features such as a kitchenette, large living area, dining space, semi-private king bed with comfortable bedding, and either mountain or lake views, these suites are the perfect option for traveling solo, as a couple, family, or even small group. 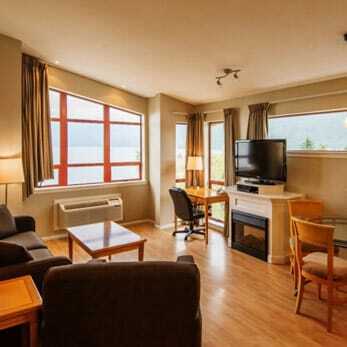 * Some Junior Suites have private balconies (ask us for more information).